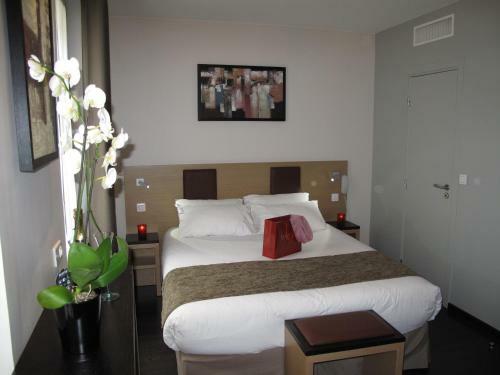 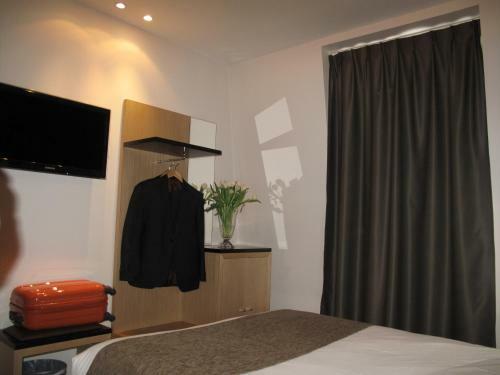 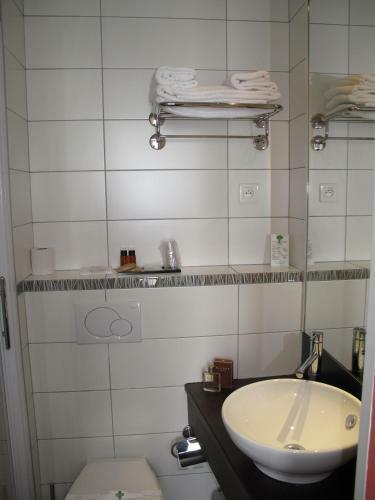 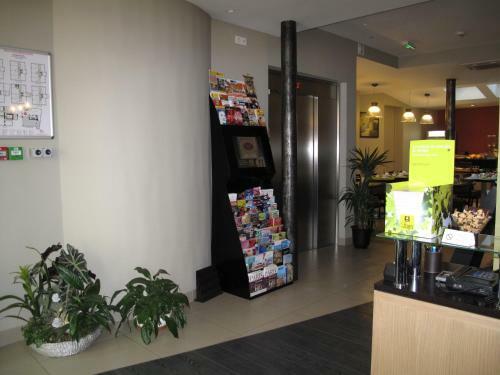 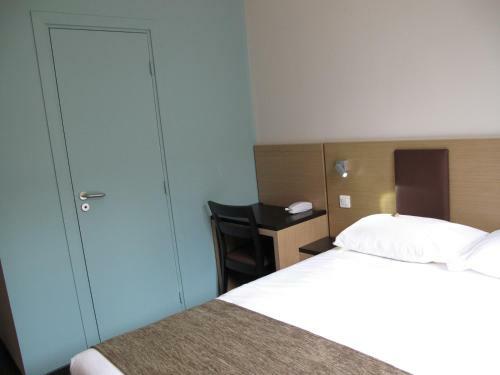 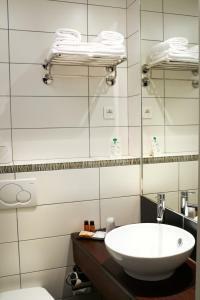 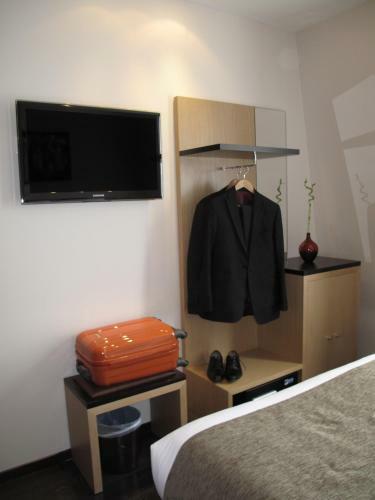 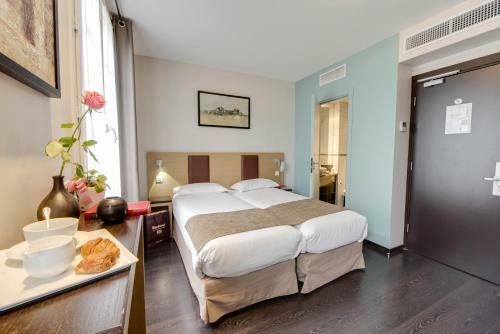 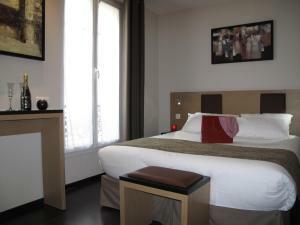 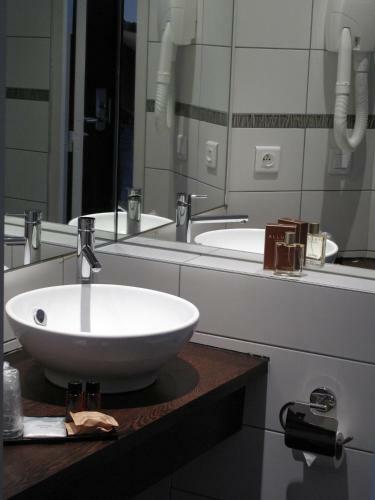 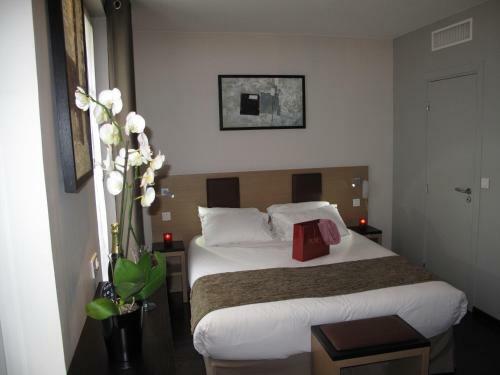 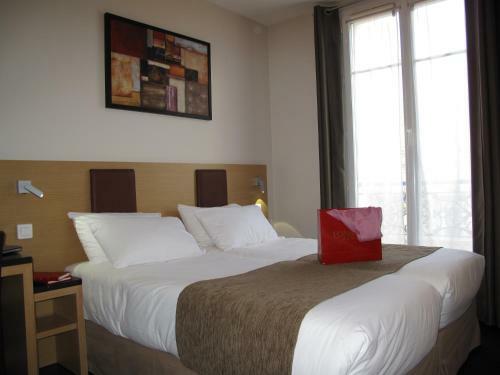 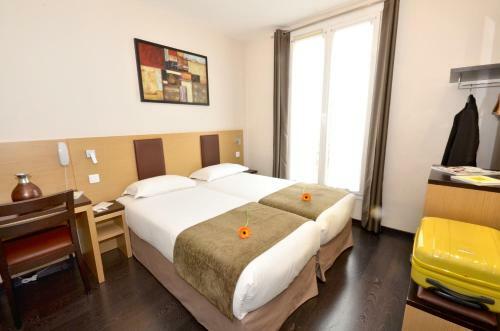 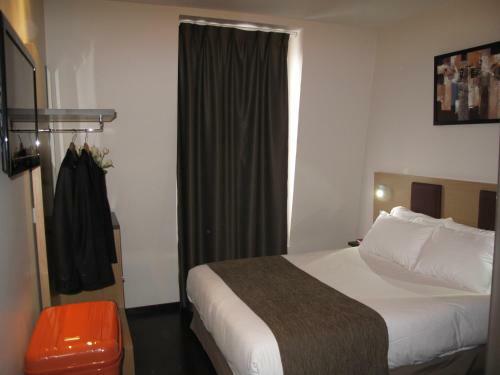 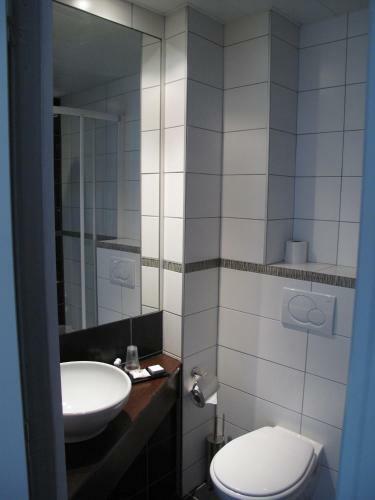 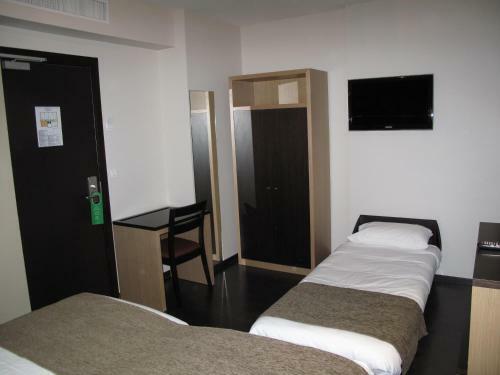 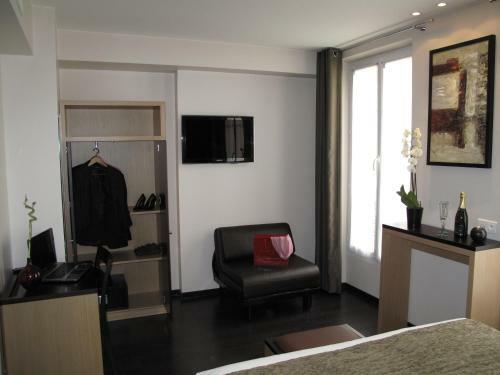 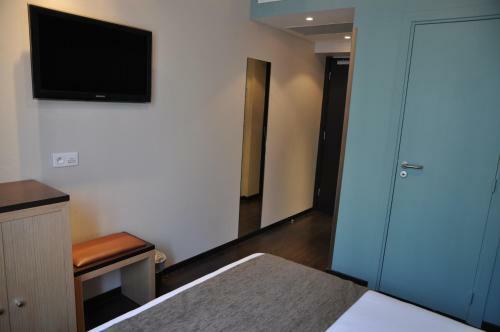 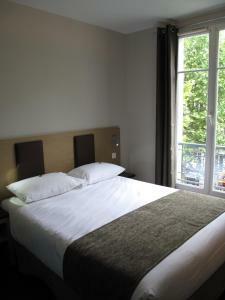 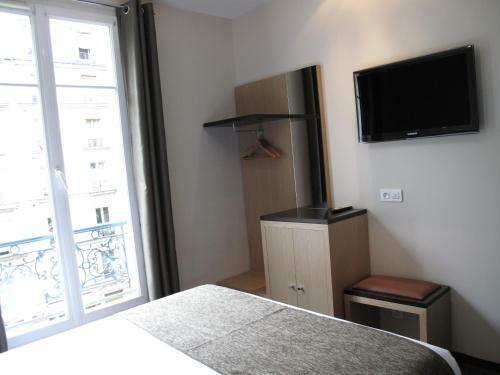 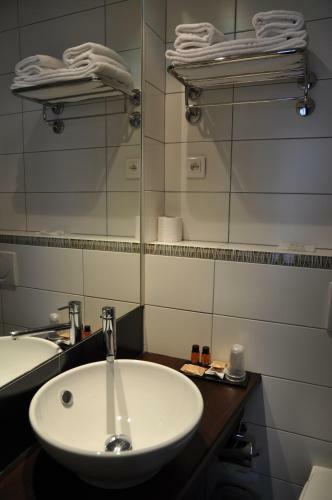 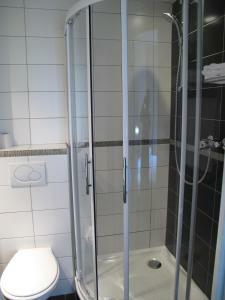 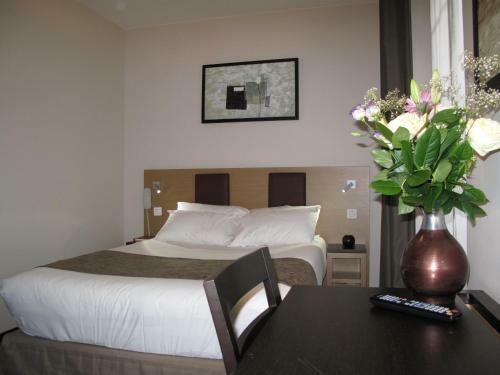 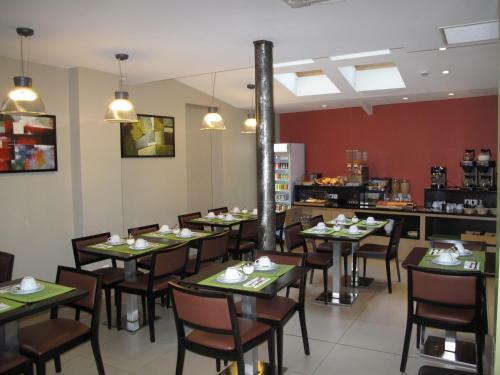 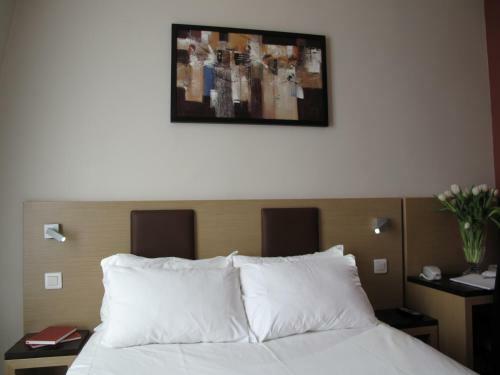 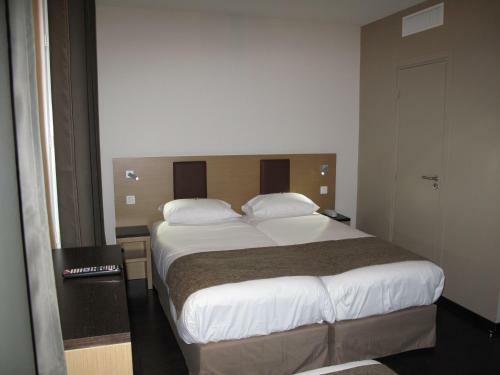 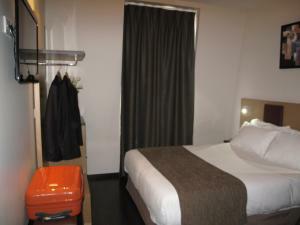 This 3-star hotel stands opposite Porte de Saint-Ouen Metro Station. 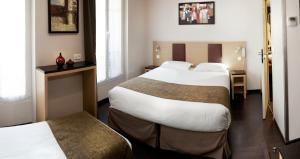 It offers free Wi-Fi access and a 24-hour reception with newspapers, just 300 metres from the flea market. 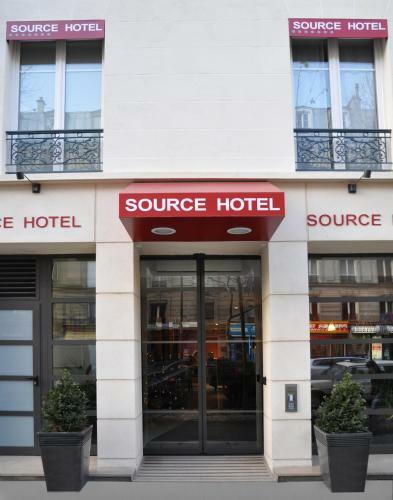 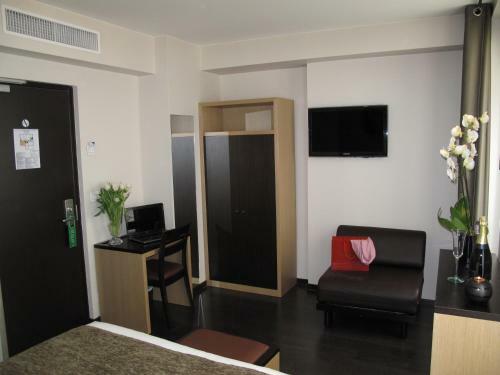 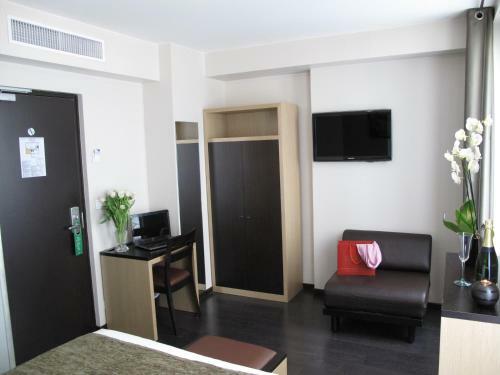 An LCD TV with satellite channels and air-conditioning feature in all of the rooms at Source Hôtel. 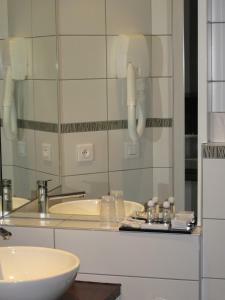 Each is contemporary in style and decorated in cream and brown tones. 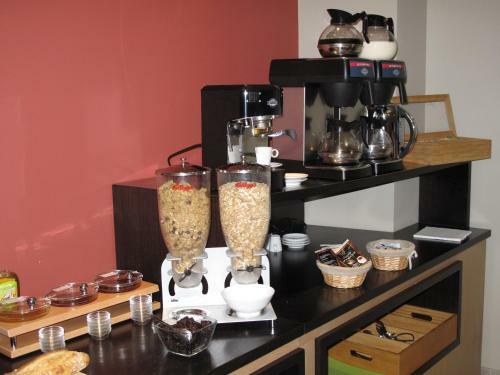 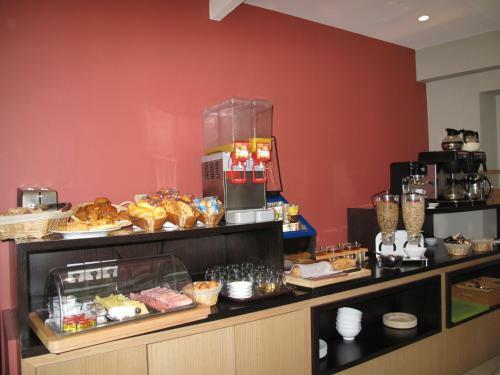 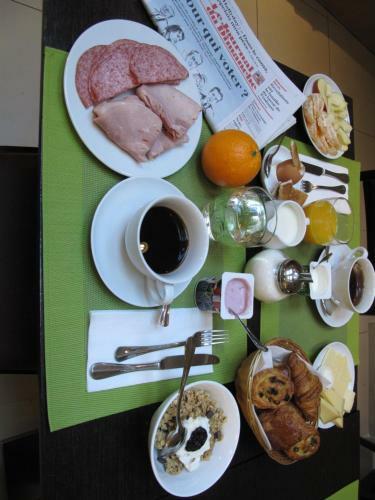 At Source Hôtel, a buffet breakfast is served every morning and the rooms are serviced by a lift. 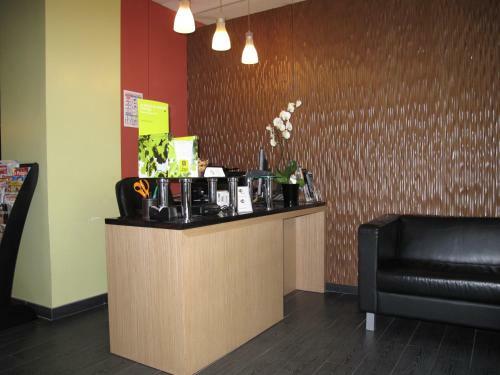 There are drinks machines in the reception, where staff can also reserve restaurants and taxis. 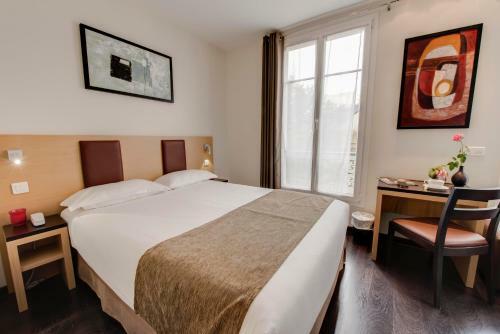 Underground parking is possible 100 metres from the hotel and Boulevard Péripherique is just a 2-minute drive away. 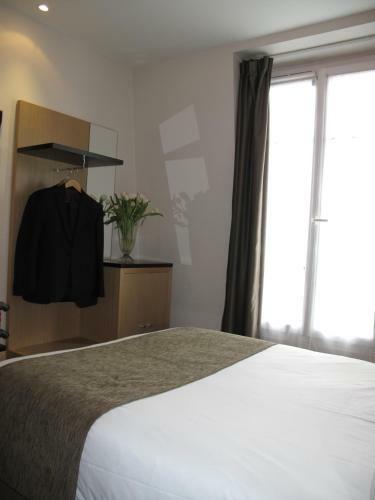 Sights such as the Champs Elysées can be accessed directly on the Metro. 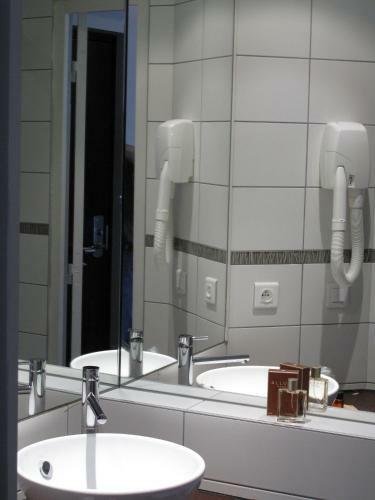 Please note that only small animals are allowed in the hotel. 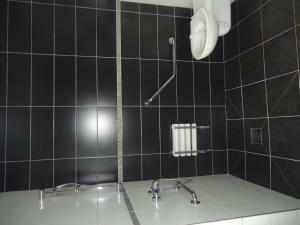 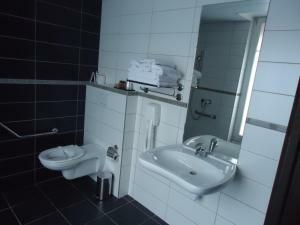 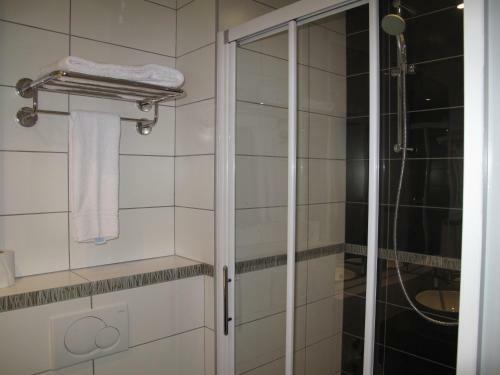 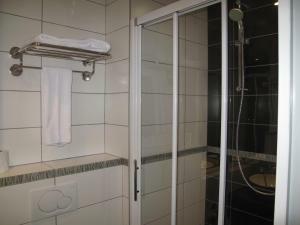 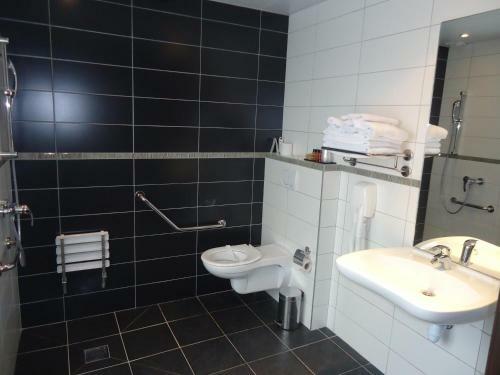 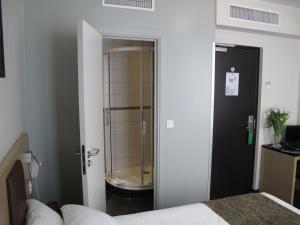 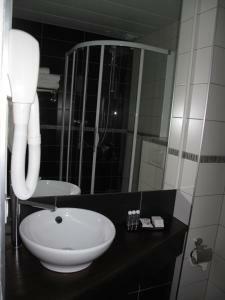 This room offers free Wi-Fi access and a private bathroom. 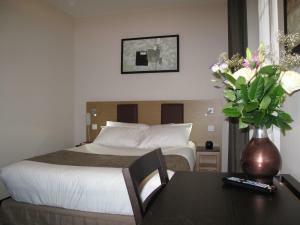 Rate: € 71.10 ... € 225.00; select dates below to get current rates. This Superior Room is more spacious. 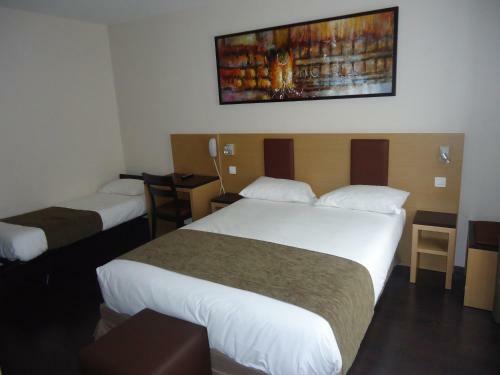 Please note that this room cannot accommodate an extra bed. This room is composed of 2 adjacent rooms. 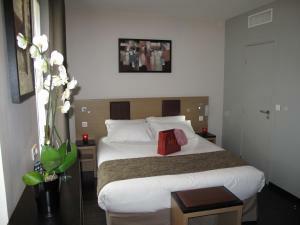 Rate: € 66.60 ... € 230.33; select dates below to get current rates.